The British luxury Car Manufacturer Jaguar has revealed its New SUV ,The “F- PACE” with Dazzling stunt. Few month ago we saw the XF walking on the wires across the river . Now this time they did again Dazzling stunt . let's have a lookof this video below. space. The technologically advanced F-PACE is a performance SUV with maximum driving excitement. It also delivers state-of-the-art technology and connectivity. 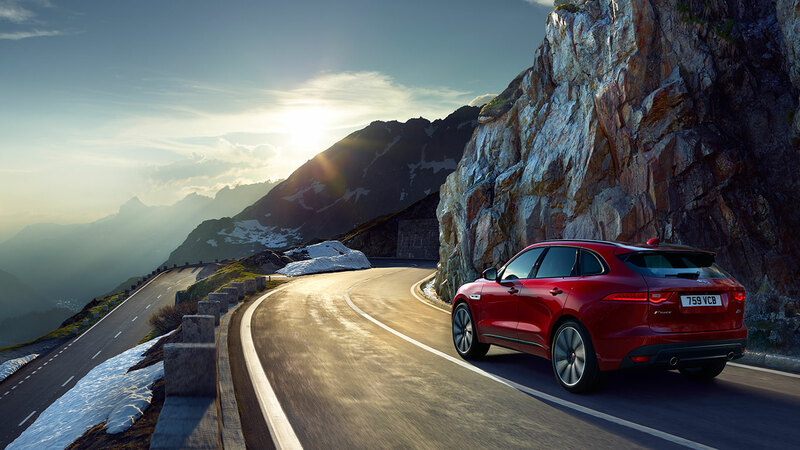 F-PACE has the performance for every road and the capacity for every day. A Jaguar for the driver, a Jaguar for the active lifestyle. The F-PACE engines offer a balance between power and economy. Engines include the 340hp and 380hp versions with 3.0L supercharged V6, available on the F-PACE S, which can reach top speed of 155mph with 0-60mph acceleration in 5.1 seconds. Their all-new Ingenium engine range includes a 2.0 liter i4 turbocharged diesel. Ingenium is it’s new breed of engine designed for effortless performance and refinement. With advanced technology and based on a strong and compact aluminum block, Ingenium is as intelligent as it is innovative. Computer-controlled, adaptive engine cooling only engages as required. The latest generation variable geometry turbocharger maximizes peak power for low speed torque and responsiveness. The foundation of the F-PACE is an aluminum architecture that provides impeccable ride, handling, and dynamics.They use aluminum because it creates a stiff and, most importantly, lighter architecture than steel ever could, because its reduced weight enhances handling and braking. The F- type comes with Six different variants having range between $40,990 to $ 69,700. The pinnacle of F-PACE luxury – elegant, sophisticated and loaded with cutting-edge technology. For thrilling sports performance, the F-PACE S includes a 3.0L 380hp Supercharged V6 engine. This limited edition F-PACE offers individuality with exclusive design details and specially selected features. 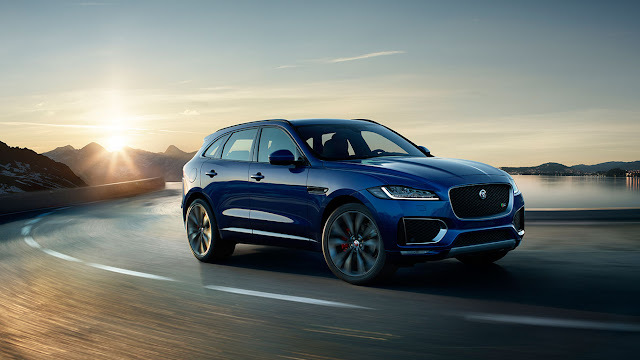 The F-PACE is fitted with eight-speed automatic transmission that is highly responsive and smooth Developed specifically for the demands of a performance vehicle, it delivers rapid shifting for effortless acceleration and overtaking. You can also manually control gearshifts via the steering wheel paddles at the touch of a finger. PRACTICALITY AND SPACE F-PACE has a 40:20:40 seating configuration for greater flexibility. Rear seats are wide enough to accommodate three adults in comfort. They can be folded completely flat, or folded individually, in a variety of combinations. Rear space is an impressive 33.5 cubic feet with seats up. Every inch has been carefully considered for maximum usability. Its powerful, agile looks and sporting character give F-PACE a unique road presence. Visually inspired by Jaguar F-TYPE, F-PACE is the performance SUV with the DNA of a sports car. The latest in a bloodline of beautiful, performance cars that includes the new XE and XF. The proportions of the F-PACE are dynamic, enhance aerodynamics and help improve capability. Optional LED headlamps, featuring Jaguar J-Blade LED daytime running lights, add to the commanding presence of F-PACE on the road. LED headlamps produce an intensity of light that is close to daylight, helping your eyes to distinguish objects more easily and reducing fatigue. The F-PACE offers an extensive choice of lightweight, aerodynamically efficient alloy wheels, as large as 22” in diameter - the perfect complement to its dynamic look. Choose your wheels with their configurator. The F-PACE’s interior blends elegance and sportiness to create the latest in contemporary design. An extensive range of premium materials, supple leathers and sophisticated finishes give the F-PACE a comprehensive interior selection. This is your opportunity to create a space that reflects your individual style. In the back, there is plenty of space for three adults to sit together comfortably, while the rear seats also feature optional electric recline - the perfect seat position is just the touch of a button away.